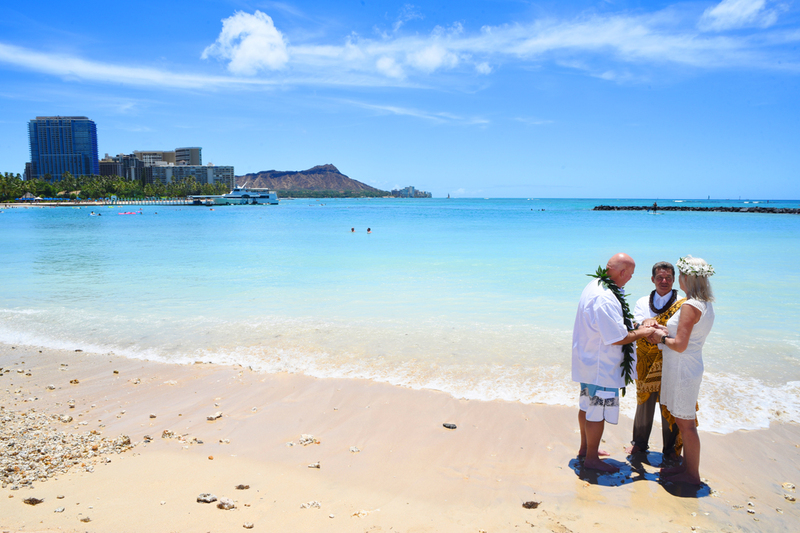 Happy couple renews their wedding vows at Leahi Beach Park. Walking distance from New Otani Kaimana Beach hotel. 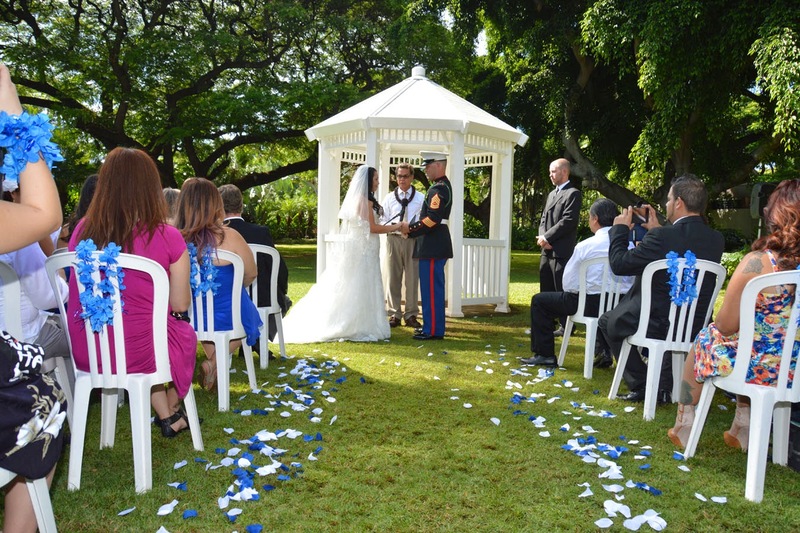 Active and retired Military can reserve the Maile Garden at Hale Koa Hotel for their wedding venue. Beautiful garden location and most affordable price for a venue of this type. 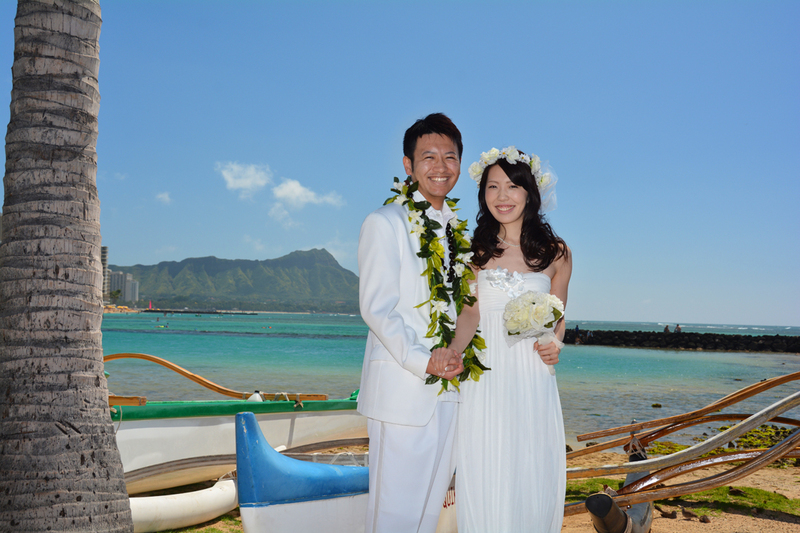 Beautiful Bride at Hilton Lagoon in Waikiki. The canoes and coconut trees give Waikiki some extra color for beautiful photos. The sky and ocean at Waikiki have the most vibrant colors around mid-day. 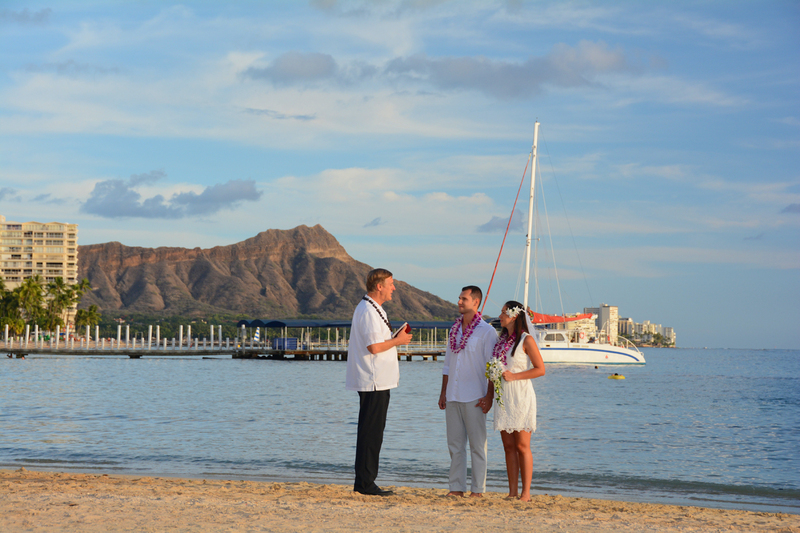 Waikiki Beach is a scenic landscape and a nice spot for sunset weddings right outside the Hilton Hawaiian Village.